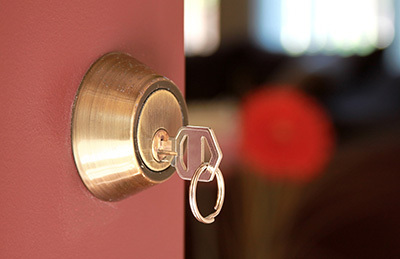 Do not miss the answers to some of the most commonly asked questions in the locksmith field. You are guaranteed to find them highly interesting and extremely useful. When you are armed with valuable information on door locks and keys, you will enjoy an even higher level of security. Does the lock need to be drilled for repair or opening? There are now modern tools used for opening and fixing locks. Our specialists say that drilling is often the last option. The other methods can successfully open or fix locks without causing more damage, which may not be the same if drilling is done. However, most of the time, drilling is no longer needed nowadays. If I lose the keys to my house, do I just need to have another one made? It’s best if you have your locks rekeyed. Rekeying would adjust the tumblers of your locks to make the lost keys unusable. You will be given a new set of keys to use in your house. This would give you better security as the lost keys would no longer work on your locks. DIY videos make changing a lock look easy. Why do I still need a locksmith? A good locksmith considers factors such as if the type of lock is suited to the door that it’s going to be used on; or what level of security is required by the client; or what the right tools are for the job; and so on. Sure, you can do some of your own lock changing at times, but when you and your family’s safety is at stake, it’s worth it to be cautious and call a professional.